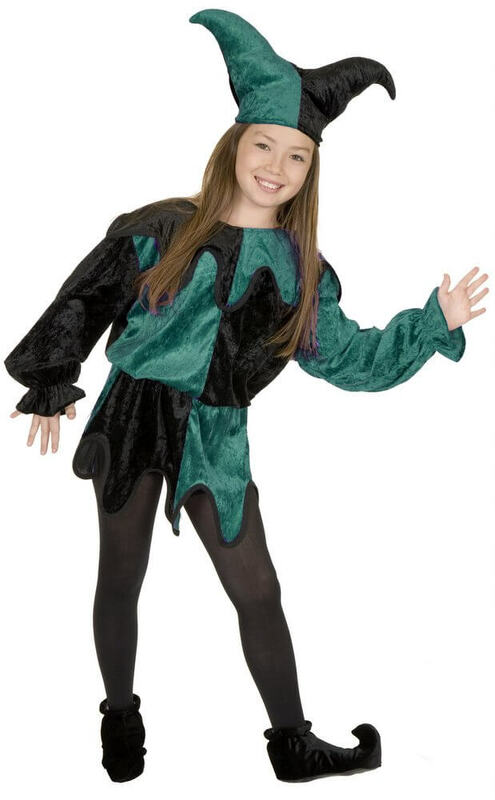 Play the fool in this child size court jester costume! Includes bi-color crushed velvet tunic with collar and matching jester hat. Comes in jade or purple. Shoes and tights not included. 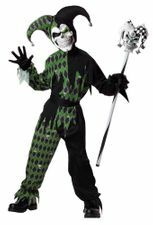 See more options in our Mardi Gras Costumes collection!